You might think someone must have gone completely mad to compare an independent Scotland to a country that fell flat on its face (literally) during its bankruptcy in the 2008 financial crisis. 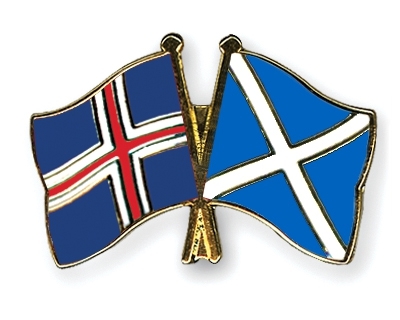 Then again, the Independence debate is big on madness and perhaps if the north is to place economics and democratic politics at the forefront of its concerns, then Iceland may still stand as an important example. Figures show that despite Iceland’s debt being equal to 200 times its GNP in 2003, by 2007 it was 900 percent. Now whilst its future was bumpy – as the three key Icelandic banks, Landbanki, Glitnir and Kapthing crumpled and the Kroner lost 85 percent of its value with respect to the Euro – this little, volatile country has presented a shining effigy that participative processes in a time of crisis can work. It also quietly hands us an alternative to IMF austerity and privatization – and an alternative to the sale and sell-out of the public sector. This last point we must associate with; at the hands of drastic public sector cuts and the rising cost of living in an equally fragile UK. Shunned already as just another ploy by the SNP to gain supporters – this pure neoliberal system today stands arguably as one of the richest nations in the world. The road to participatory democracy and the same road to a brand new constitution, was painful by all means but resulted in strong outcomes. Much like a similar crisis on British soil, the notion that citizens had to clear up (and pay up) for the grave errors of a financial monopoly, the belief that an entire population must be taxed, and taxed again – received public outcry and an uncertain introduction. The monumental difference though, was that in Iceland it was stopped in its tracks. The relationship between institution and citizens drove Icelandic leaders to the side of their constituents. The Head of State, Olafur Ragnar Grimsson, made a brave move that despite international hostility began to pay off. In accepting calls for a referendum that took place in March 2010, 93 percent voted against repayment of the debt – Iceland’s revolution was yet to be deterred even as Great Britain and Holland increased the pressure. The IMF, of course, quickly froze its loan. Back in 2008, Salmond was ridiculed as his North Atlantic “band of prosperity” shattered simultaneously with Iceland’s demise. In 2012, he cited Sweden, Denmark and Norway as the new role models for Scotland’s future. The kind of boom economy he hoped to replicate – the kind of strong single democracy he believed this inspired – should still be cited in Iceland today. It is important that the media consider this nation. It is important that the public consider it, too. The stakes are high, but the rewards are there. Its important that Scotland learns from what Iceland has to offer. Posted in Comment, Main Headline and tagged Iceland, Representative democracy, Scottish Independence. Bookmark the permalink.